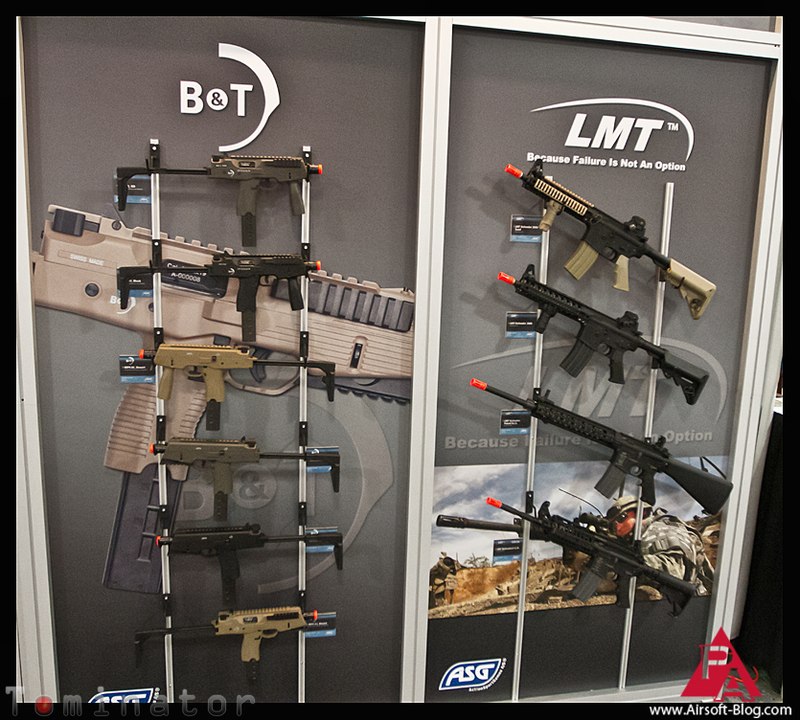 More from the ActionSportGames (ASG) booth at Shot Show 2012. 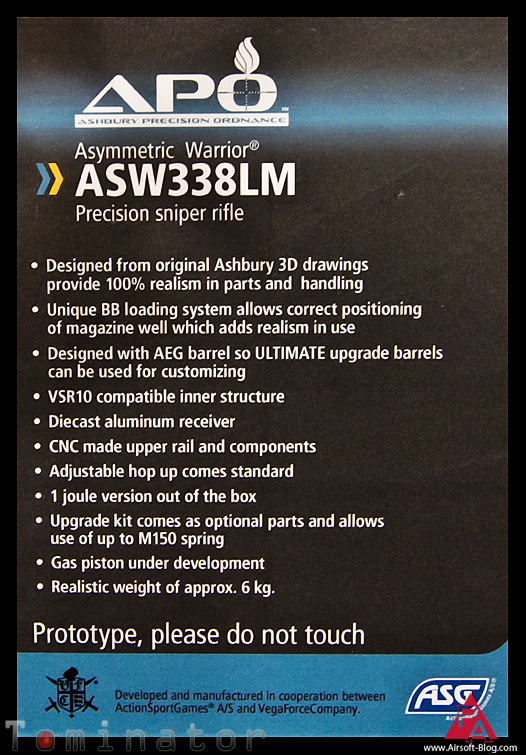 I know I already talked about it, but seriously, look at that APO Asymmetric Warrior 338 Lapua Magnum replica (or APO ASW338LM) one more time. It's so nice! Oh...I definitely touched it. I touched the crap out of it and I don't care who knows it. I really can't wait to see how this thing turns out, which makes the early spring release date (possibly next month, in March) a big time win for those of us who are impatient. I kinda felt bad for all the other awesome guns at the ASG booth, as there were many, because VFC's debut into the Airsoft spring sniper rifle market, along with the prototype CZ Scorpion Evo 3 A1 Airsoft SMG pretty much stole everyone else's thunder while we were there. 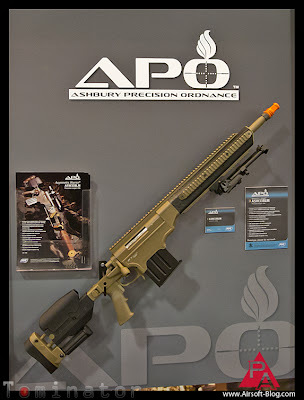 So I thought I would use today's blog as a stage to give some of the other awesome Airsoft guns a bit of the spotlight. Licensed U.S. Ordinance M60s. 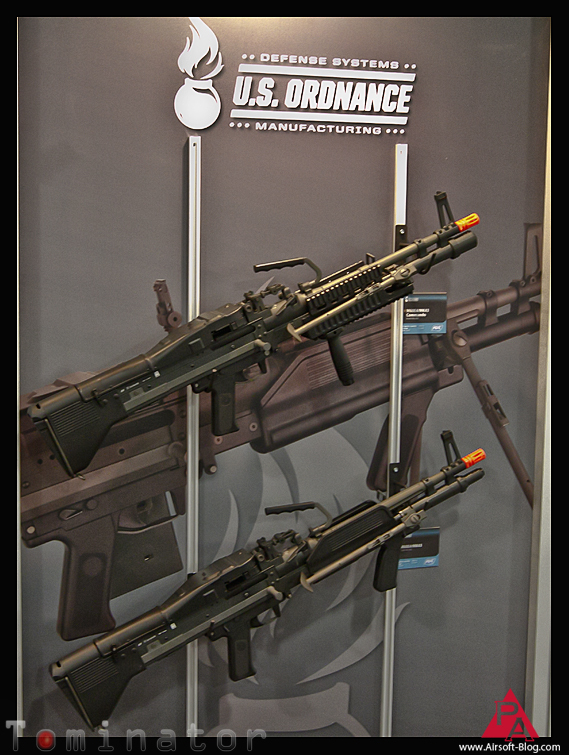 I think they're both Mk43 models, but one has the RIS front hand guard and the one below just has the regular polymer handguard. I could be wrong on that one though so don't quote me. Both models made by Ares. 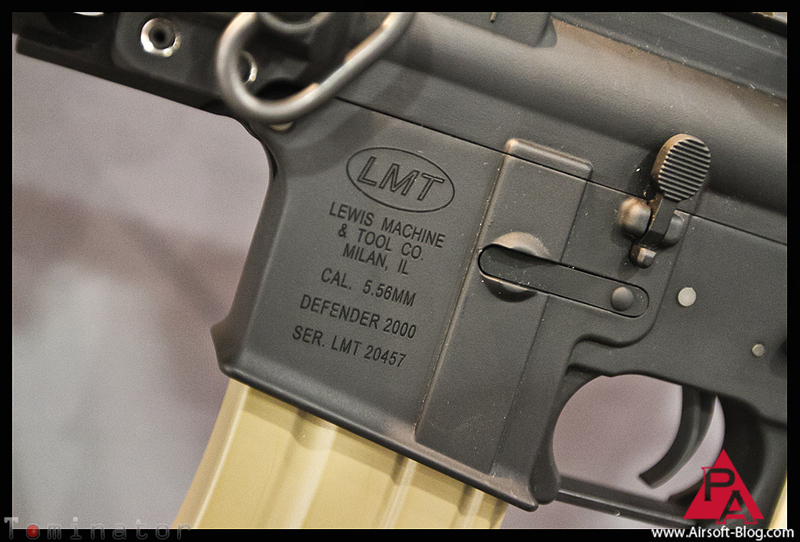 Licensed Lewis Machine & Tool (LMT) Airsoft M4/M16 models? Heck yea, baby! Where the heck have these things been? I haven't seen anyone in the U.S. carrying these, but according to the gentleman I spoke with at the Shot Show 2012 ASG booth, they've already been released. 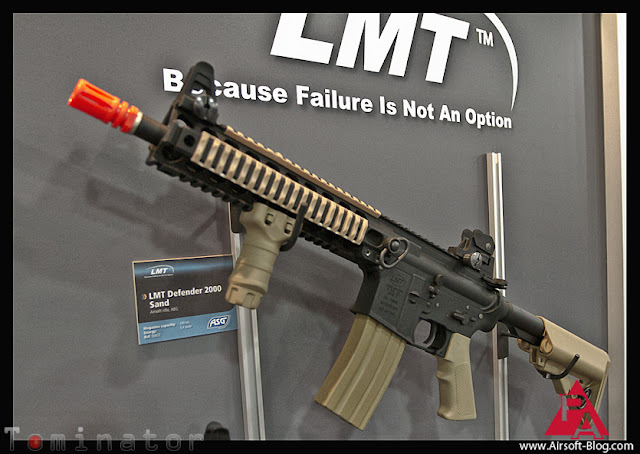 The two top LMT M4s are apparently made by G&P, so you know they're good. 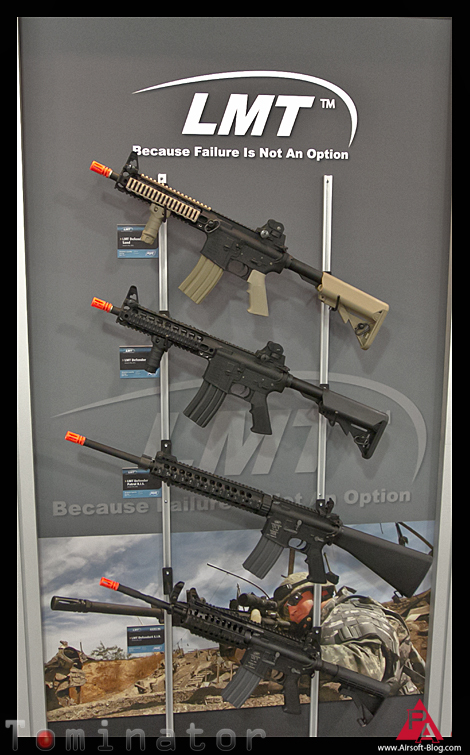 And low & behold, the two bottom models (M16 & M4 S-System) are made by KWA with licensed LMT trades). Who'd a thunk it? Very cool to see that. Maybe I'm just out of the loop. I don't know. See? I wasn't kidding. This would be a close-up of the LMT Airsoft M4 receiver by G&P. Those are stamped into the lower, btw. And because I was particularly attracted to this model, I snapped another shot of it. 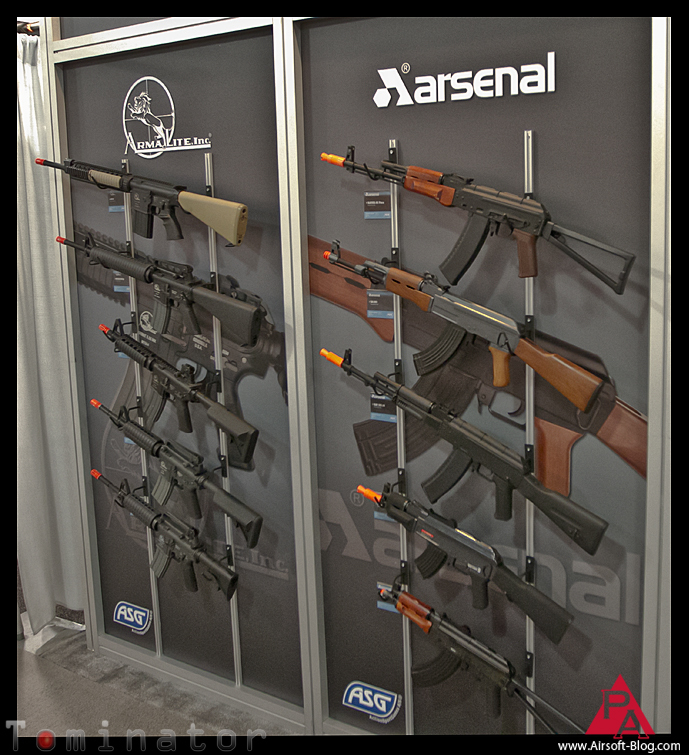 Here's a shot of that whole wall, which also includes the licensed B&T line-up, featuring some very familiar Airsoft SMG Gas Blowbacks. 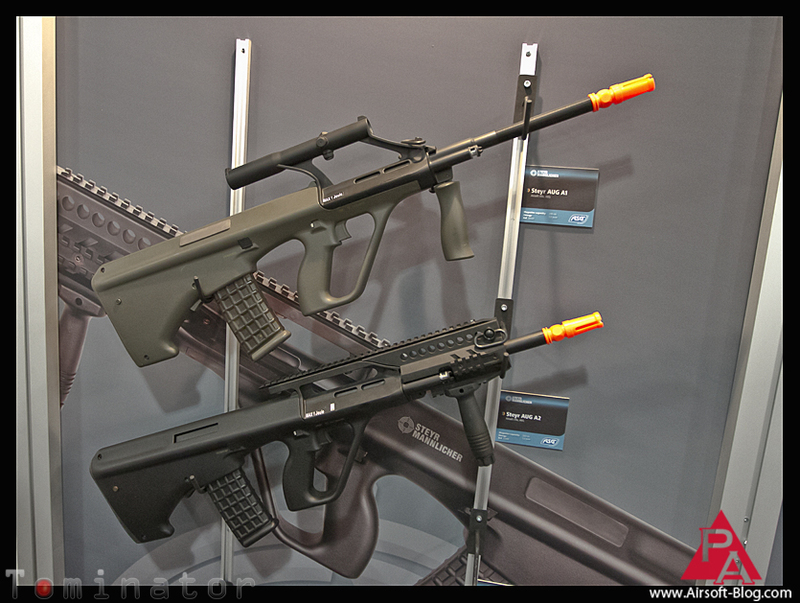 Yup, those would be the KWA KMP9 SMG series with official B&T licensing. Are you starting to see a theme here? (Here's a hint: It rhymes with license). Here's a bunch of the licensed Airsoft pistol collection from ASG, including the CZ75D & Dan Wesson 8" Revolver, which I recently reviewed. Ah yes. The Dragunov SVD series. 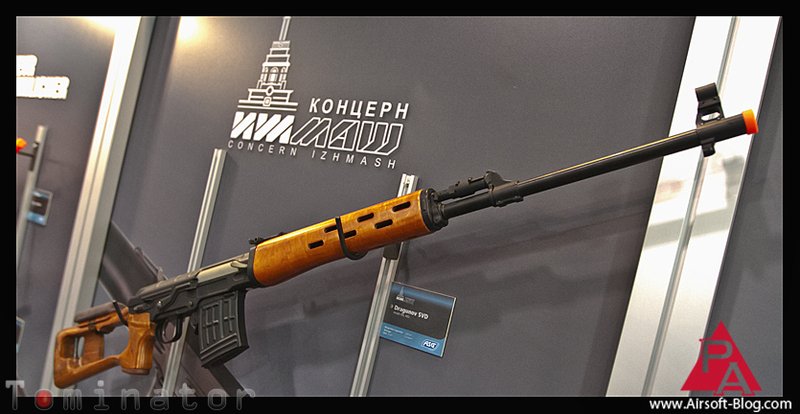 This guy, below, is the SVD-S which ASG partnered with CYMA to produce with licensed Concern Izhmash trades. Apologies for the terrible close-up blurriness, but I can't say I had my A-Game going this year on the quality photos front. But you get the idea. I know that there's a lot of guys who dig the SVD-S with the folding stock, but the option below is what I'm a personal fan of: Classic Army Dragunov SVD with faux wood (i think) furniture. It still looks great though. And just to show that I try to provide a moderately fair report every now & again, I included shots of the two Airsoft Steyr AUGs despite having a distaste for their appearance. You either love 'em or you hate 'em when it comes to AUGs. 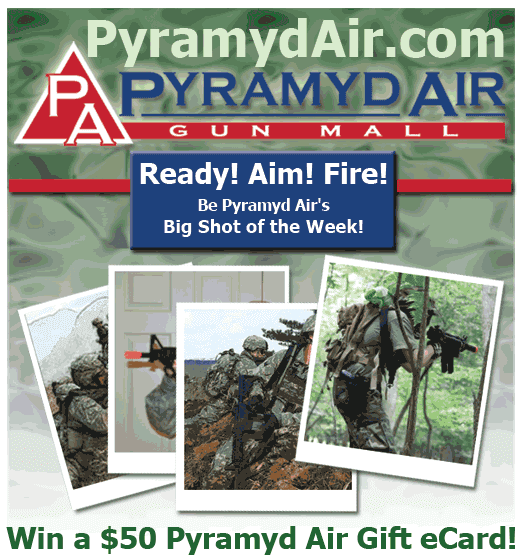 People that use them rarely have a complaint, from the guys I've seen out on the Airsoft field. I just can't get past the aesthetics though. I know. I'm shallow. Nothing really new over here on the other side of the booth. 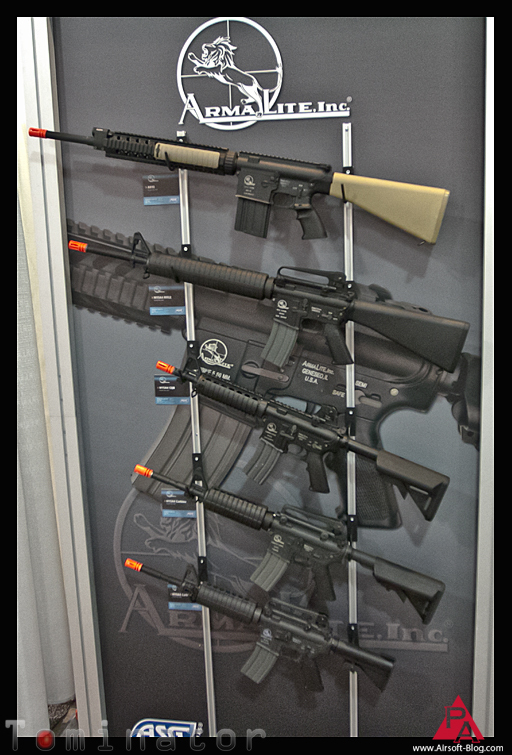 Just a bunch of good looking, licensed Airsoft guns from Armalite & Arsenal firearms companies. Most of the models are manufactured by Classic Army, so they're going to be pretty high quality options. Definitely not your bargain bin poop guns. Not that there's anything wrong with bargain bin poop guns. I included this last picture just because I had it, but like I said, nothin' new here. Just some Classic Army Armalite Airsoft AEGs. So there you have it. 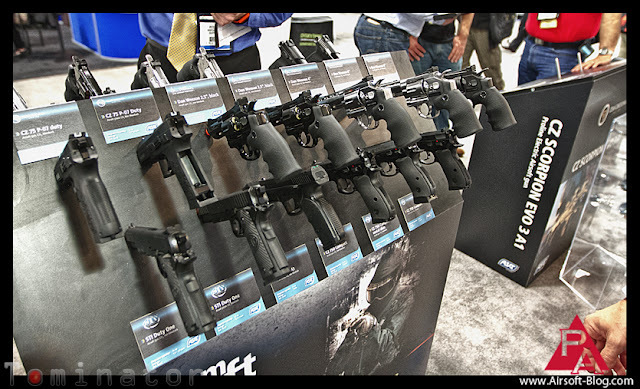 The ASG booth from Shot Show 2012. Definitely one of my favorites this year. 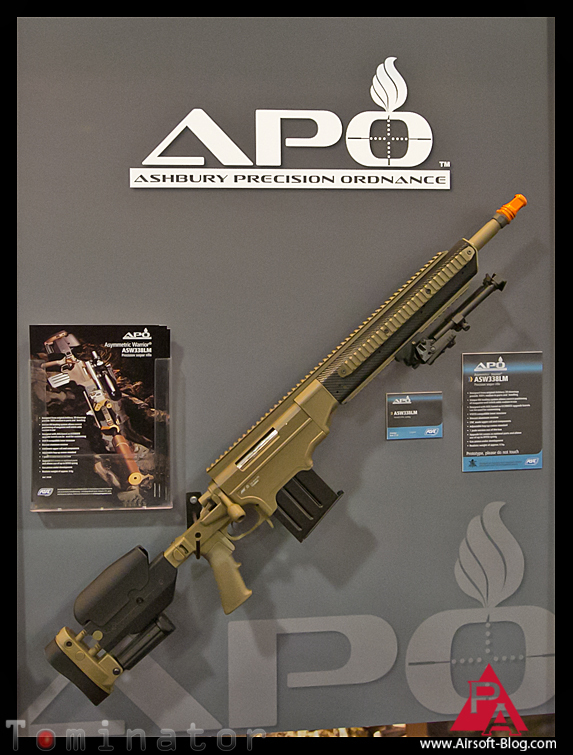 I will reiterate that ASG is definitely one company to watch in 2012. I expect some great, high quality options coming from them in the near future.